Rhoda & Neil, we feel very fortunate to be among the first people to enjoy your beautiful house as well as your very warm welcome. 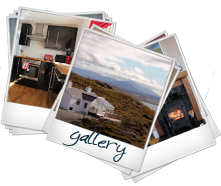 It is so comfortable and well appointed with absolutely everything you could want – in short, a perfect holiday home. We have had a wonderful break, exploring the Island and getting to know it’s people. Thank you – we will be back!! We had a fabulous holiday and found everything in the cottage of the highest standard. Rhoda &Neil are the perfect hosts – here you find the true meaning of Scottish Hospitality. Lots of places of interest, to visit, and lovely walks within the area. Fantastic views from the cottage, photographers delight. Stunning site, beautifully furnished accommodation, everything for one’s comfort and the highest attention to detail. Will be back.